It’s been a long time since I have sat down to write about the state of the Red Sox. A lot has happened in that time. But the more things change, the more they stay the same. The Red Sox are in first place, just like they were on July 17. They sit atop the American League East with a 3 game lead over the Tampa Bay Rays. According to my calculations, the magic number to clinch the division is 49. Perhaps the biggest change to the Red Sox is the addition of Jake Peavy. Peavy was excellent in his Red Sox debut at Fenway Park against the Diamondbacks. He went 7 innings allowing 1 run in the victory. He was not as good in his next appearance against the Royals where he was only able to get through 5 innings. I love the Peavy deal. Jose Iglesias is nothing more than a gold glove shortstop with a below average bat. Turing Jose Iglesias into Jake Peavy is the equivalent of turning water into wine, Ben Cherington should be worshiped by the apostles of Red Sox Nation for performing this miracle. Peavy is under contract through next season. When healthy he adds a quality arm to the rotation. I hate to use tired clichés, but nothing is more true than the old adage, “You can’t have enough pitching.” With guys like Xander Boegarts, Will Middlebrooks, and Garin Cecchini in the pipeline, Iglesias was more than expendable. If the Red Sox are able to get into the playoffs, I believe Jake Peavy is your Game 3 starter behind Lester and Buchholz. Speaking of Jon Lester, his season has continued to be a roller coaster ride. In April he was lights out going 4-0 with a 3.11 ERA. He had an ok May going 2-2 with a 3.91 ERA before a brutally atrocious June. In June Lester threw up a 7.62 ERA in five starts. I have actually been encouraged by what I have seen from Lester lately. He recovered nicely after a difficult first inning against Kansas City. His defense wasn’t very helpful in that one either. Since the All Star Break, Lester is 2-1 with a 3.28 ERA. He is using his fastball a lot more than he has in previous months. His command is coming back. 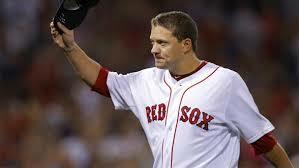 I believe the addition of Jake Peavy will help Lester immensely. Many people in Red Sox Nation are down on Lester. I am not among them. I believe Lester is your Game 2 starter when the playoffs commence. Believe it or not, I like the way the bullpen is starting to shape up. 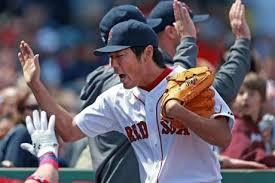 Koji Uehara is your closer. His WHIP this season? A mind blowing 0.69. I don’t understand why his 89-90 MPH fastball is blowing the opposition away. He has 74 strikeouts in just 53.1 innings! Junichi Tazawa is your right-handed set up man. He has been fairly consistent all season long. What’s best about Tazawa? He rarely gives his opposition a free pass. He has walked just 8 men in 54 innings. Ruby Delarosa is another right-handed option aside Tazawa. He featured an impressive 98 MPH fastball and a diabolical changeup. Craig Breslow and Drake Britton are your left-handed options in the pen at the moment. I am interested to see what the Red Sox do with Franklin Morales now that he is eligible to come off the disabled list. Will the Red Sox carry 3 lefties in the pen? Maybe they will make Morales the left-handed long reliever with Brandon Workman as the right-handed long man. I have said it time and time again. Workman reminds me of Justin Masterson and Bronson Arroyo with his ability to give the Sox 3 innings out of the pen. The last idea for the bullpen will be Ryan Dempster. When Clay Buchholz returns, someone will get moved to a relief role. My money is on Dempster. He has had success out of the bullpen in years past, and I believe his slider and sinker are weapons that can be used when the Red Sox need a double play late in the game. I could go on a long diatribe about the frustrations of owning Mike Napoli in fantasy baseball have brought me. The fact is Napoli is striking out way too often as of late. I don’t want to get to down on Napoli because he is one of the streakiest hitters in baseball. Optimistic me says Napoli will be okay and a power display is coming soon. Count me as one of the few happy to see Will Middlebrooks get one final chance before the arrival of Xander Boegarts. I loved WMB last season before he broke his hand. The kid can hit. I am hoping he has the mental problems worked out after a stint in Pawtucket. Middlebrooks reached base 4 times in his first two games back with the big club. He knocked in two runs and scored twice. The Red Sox could really use the Middlebrooks of last year at this point. Brandon Snyder and Brock Holt are nice and all, but they are utility guys off the bench. Nothing more. If Napoli continues to struggle, the Red Sox will need a bat to put behind Ortiz. Middlebrooks would be that guy. The Sox have a somewhat easy schedule before they meet with the red-hot Los Angeles Dodgers (which will be an interesting series for a variety of reasons). They travel to Toronto for a three game set, come home to Fenway for three against the Yanks, before flying out to San Francisco to take on the Giants. In the same stretch, the Rays have the Mariners, Blue Jays, and Orioles. Hopefully the Sox can maintain or even extend that three game lead.